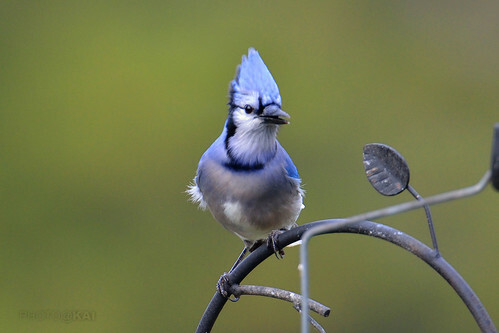 Definitely the Blue Jay is not the local bird, it was first reported by a birder seen at McDonald Beach Dog Park about a month ago, which attracted a lot of birders wandering there, but unfortunately it’s not easy to find this beautiful species. 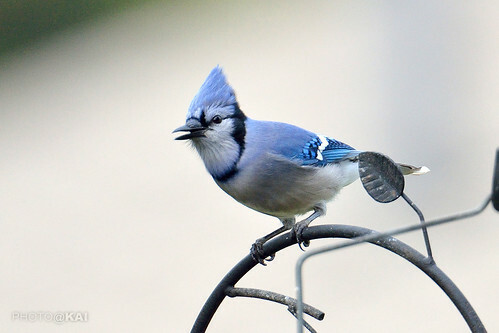 About a week ago a home owner reported that there is Blue Jay visiting their feeder quite frequently these days, and that made another hot spot for these birders (including me). There were other 6 people hanging around at the alley when I arrived. 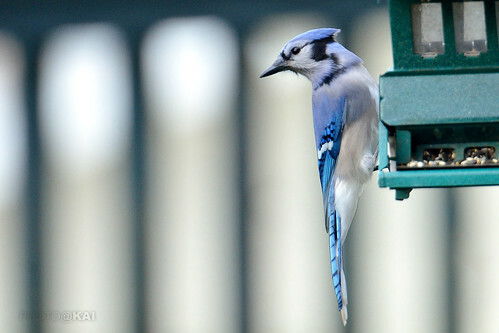 The feeder can be easily seen from out side of the fence so people just setting their cameras there and waiting for the Blue Jay appears. I’ve heard some people were waiting for more than 3 hours to get to see the bird, but luckily my first sight of the Blue Jay was within an hour. 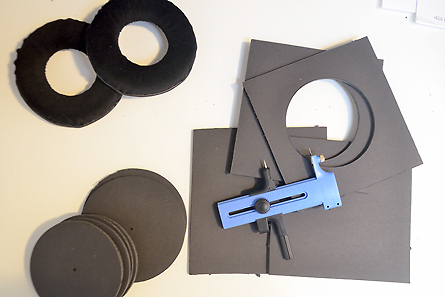 The jay announced itself when it arrives, and then there were shutter clicks at all time. Birding is fun. 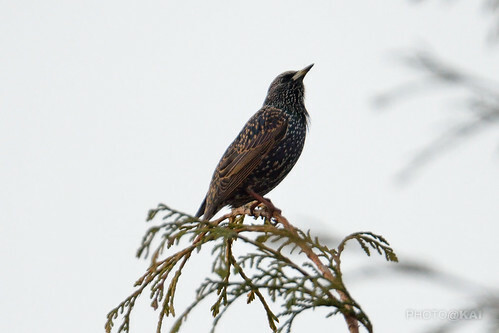 Starlings are small to medium-sized passerine birds in the family Sturnidae. I got this shot during the long wait for the Blue Jay. It was standing on the top of the tree so the lighting was terribly bad. 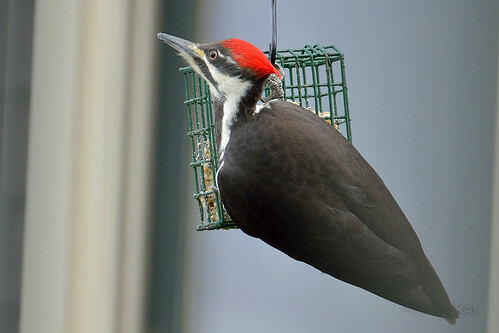 And the Pileated Woodpecker is a roughly crow-sized North American woodpecker. It’s relatively huge campare to the bird feeder, but it was fun to watch this big guy swinging around. 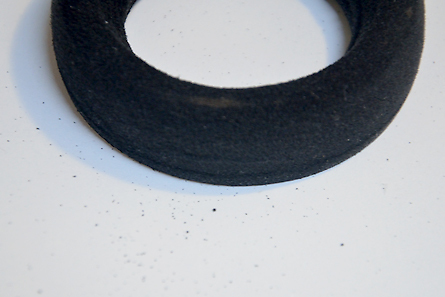 I owned the Grado SR125 Headphones for many years, but the foam pads started flaking and sometimes they got into my ears. 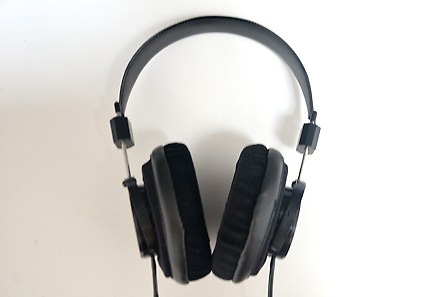 It was easy enough to just buy a pair of new pads to replace the old one, but I do want to find something feel more comfortable when I wear them on my ears. 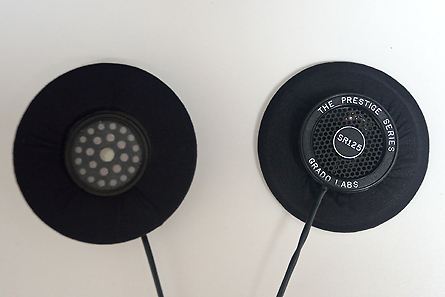 Unfortunately, Grado only selling this type of foam pads for this series of the Headphones. 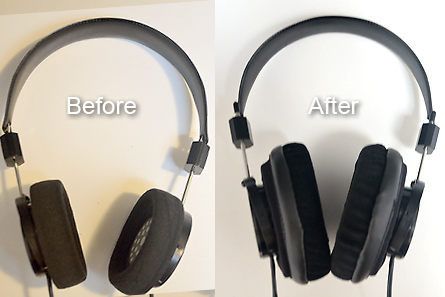 Came across the internet and I’ve found I really like the Beyerdynamic headphones pads. 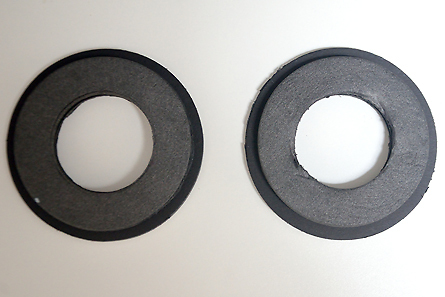 But in order to fit the pads onto my Grado headphones I have to do some modifications. 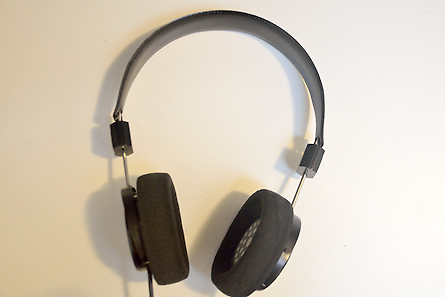 I find the paper layer of the foamcore generates some squeak noises during the modification, which is totally not acceptable for the headphones. 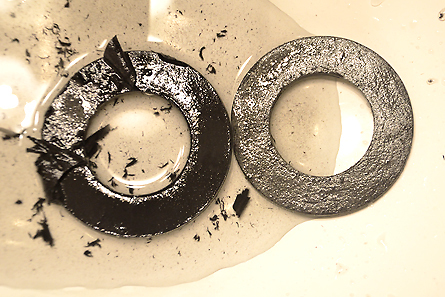 I immersed them in the water for about an hour then removed the paper portion.